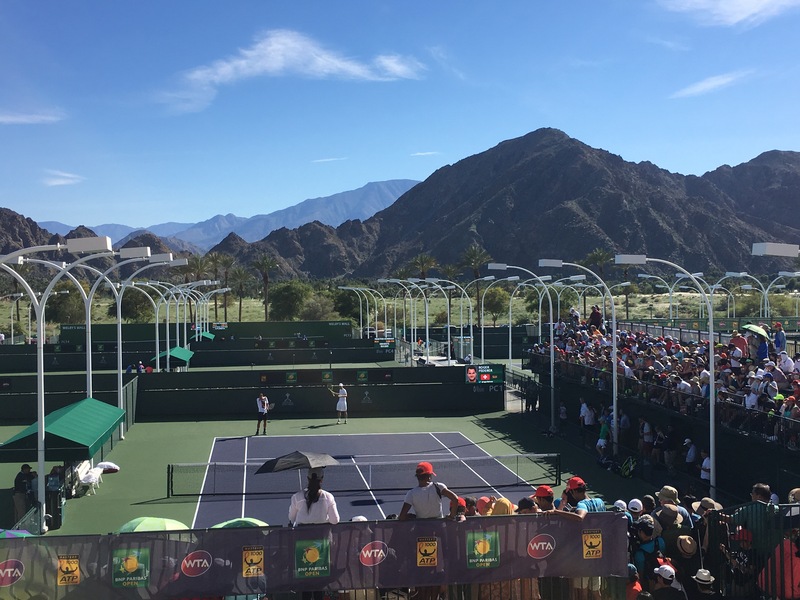 Attending a tennis tournament in person is a bit of a smorgasbord — you tend to walk away feeling full, even though you spent your time having little tastes of things — some doubles, some star players, some overpriced concession food, and of course, the practice sessions. 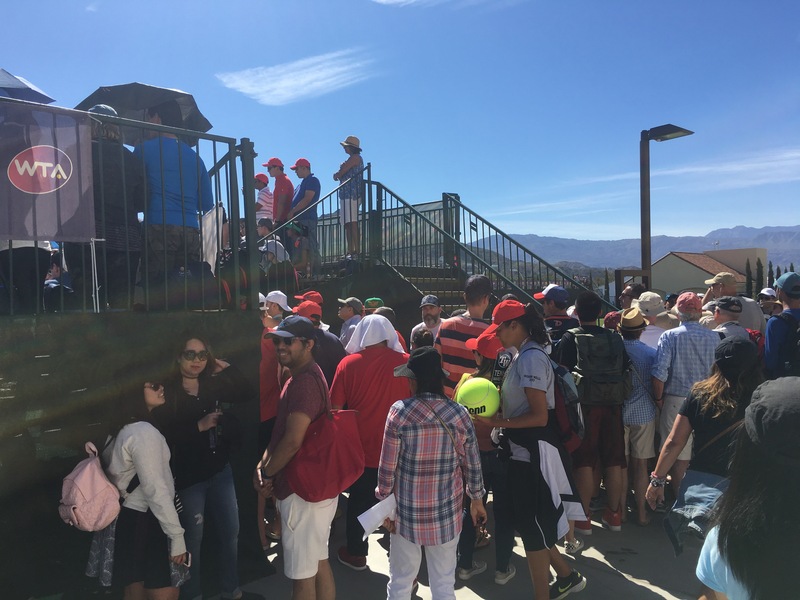 There’s nothing quite like observing the tsunami of a Roger Federer practice session on site at a tournament. 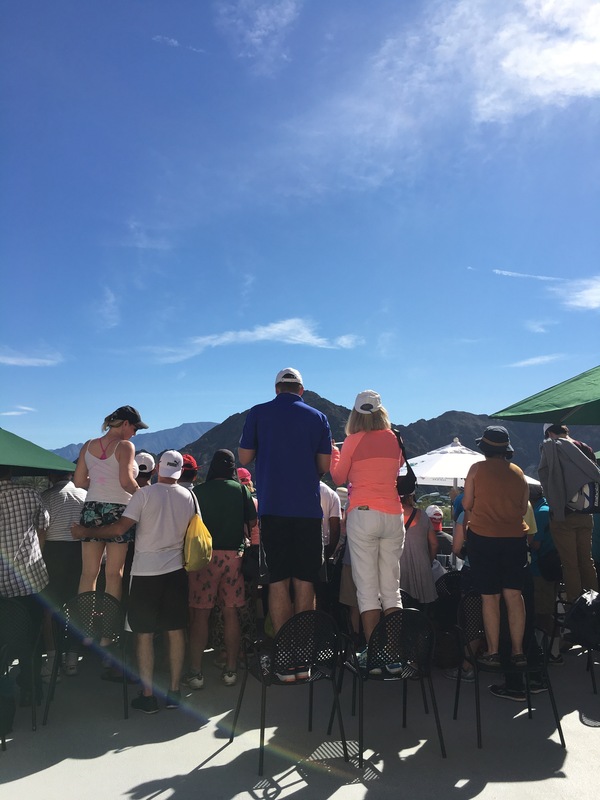 If anything, by the end, you leave with an appreciation of the extreme devotion of his fans…especially on a 95 degree day here at the BNP Paribas Open in Indian Wells. 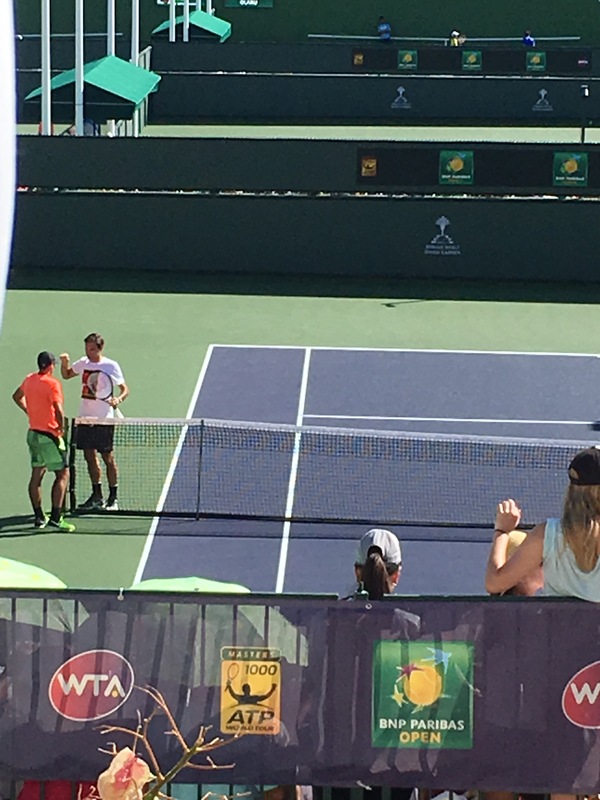 1:00 PM: Rafa is practicing next door, but you can already hear the “Federer” and “2:00” murmurs in the crowd. Also, there are no seats available anywhere nearby. 2:00 PM: The arrival is imminent. The breathing room is nonexistent. 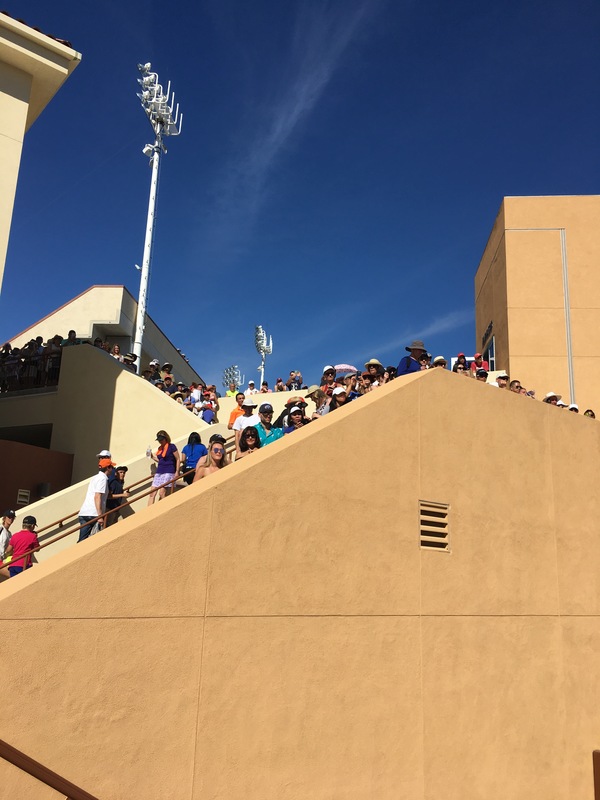 2:10: He’s out there, and fans are seeking out high vantage points to try to catch a glimpse. 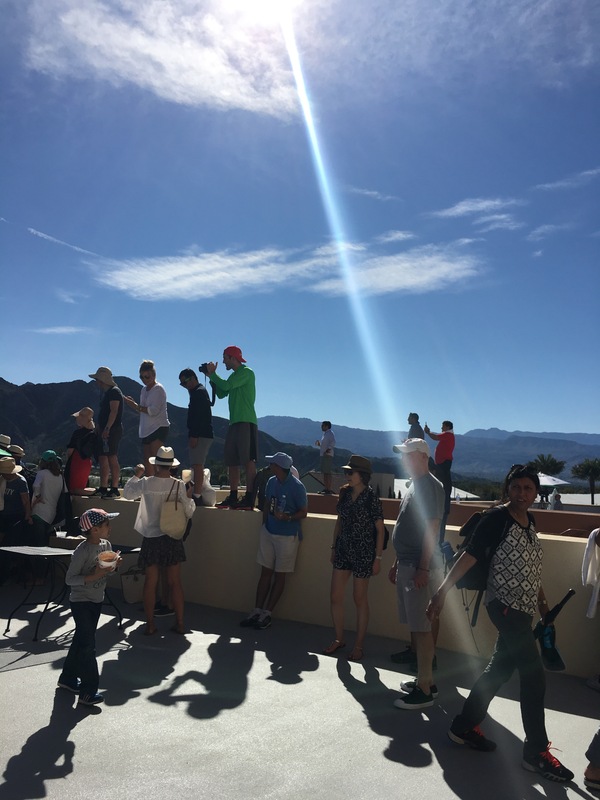 2:20: 90 degree heat? No problem. As long as I can see a corner of his shirt. 2:35: Plummeting to our deaths? Sure, as long as we get the photo. 2:40: The calm at the eye of the storm, probably telling dad jokes. Pardon the photo quality, and the sleeve of the guy who shoved me. All in the name of the story. 2:45: You know, there is a really good three set match on Court 1 right now. But, that backhand sure is pretty these days. 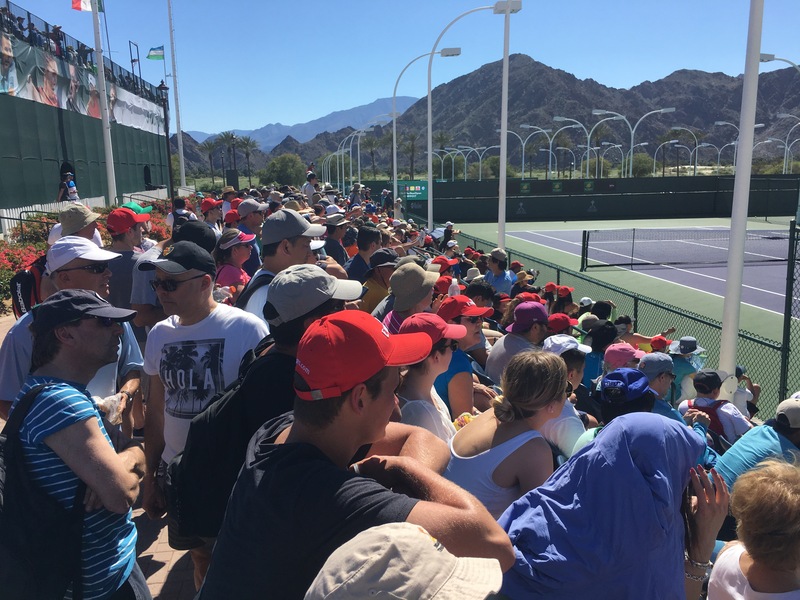 I’ll admit it, the risk of sunburn and the upcoming upset in Fognini-Tsonga wore me down, but more power to those who made it to the end!